It’s an odd, and very surprising stat. In the 37 years since the Argos selected Western running back Mike Kirkley with the first-overall pick in the 1982 CFL Draft, the Argos have had the first pick just one other time. In 1997 they selected centre Chad Folk from Utah, a move that worked out exceptionally well. The Kelowna, B.C. native played 195 games in Double Blue, sixth most in team history, winning Grey Cups in 1997 and 2004. Even that pick was a bit strange as the Argos had won the Grey Cup the year before. In June 1996, Toronto sent defensive end Jeff Cummins to Ottawa for its first-round pick, which ended up being the top pick in the draft. To be fair, Kirkley wasn’t truly the top selection in the ’82 draft, as there were territorial exemptions in that era. Kirkley was the 19th player taken. The last time the Argos had the opportunity to select the best player in the draft prior to Folk, they chose UBC receiver Lawrence “Chip” Barrett first overall in 1967. Chad Folk with the Grey Cup in 2004. Folk is third from the left. On May 2nd the Argos will once again have the No. 1 pick – provided they keep it – a spot in the draft order that General Manager Jim Popp isn’t familiar with. But knowing who you’re going to get doesn’t mean they’ll be on your team immediately. The CFL Draft is a different duck. In other leagues, the usual method of operation for a team is to take the best player available and work out a contract. In some cases, a player says he won’t sign with a specific team, so the team simply trades the pick, or selects a different player. In the CFL, a team must determine whether the player it has its eyes on is interested in the NFL. Even if a player isn’t selected in the NFL draft, he’s always able to sign in that league as a free agent. Popp is certain about one thing though, he wants whoever is chosen with the No. 1 pick to be at York University when the Argos training camp opens on May 19th. So, who is that player? Popp wouldn’t tip his hand, saying there were five-to-eight players who could comfortably fall into that slot. His right-hand man concurs. Vince Magri is the Argos Director of Canadian Scouting. He’s watched hours and hours of video of each prospect, watched them work out, talked to their coaches, anything he can to try and give the team the best portrait of the player it can paint. Nobody should be shocked if a receiver, or a lineman from either side of the ball goes first overall. It’s also a good year for players in the defensive secondary, but it’s doubtful a player from that group emerges as the first selection. Now comes the process of grading the players and coming up with a draft list. The process doesn’t stop with the scouting staff. 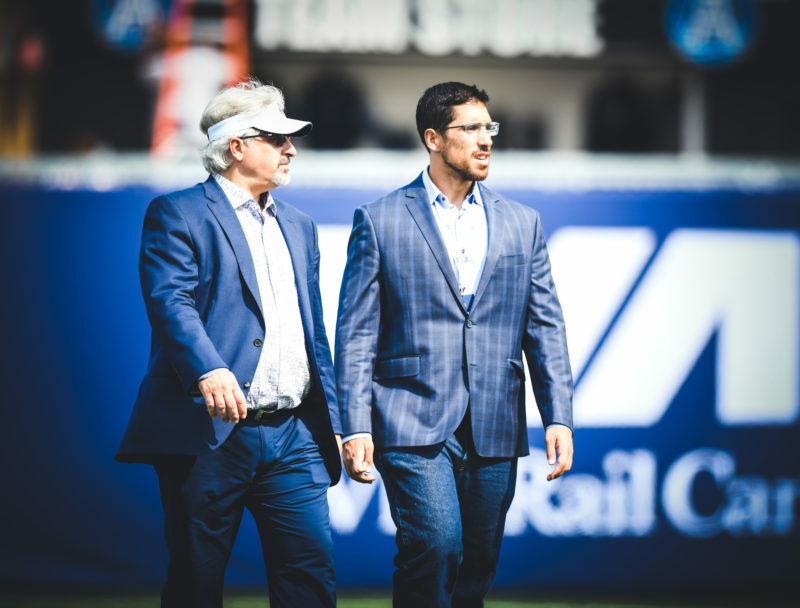 The Argos will bring the top handful of players on their board to Toronto for meetings with the personnel and coaching staffs. The interview process is important, especially since the teams only get the player for 15 minutes during the CFL Combine. It’s a chance to help determine how a player would fit into the locker room. 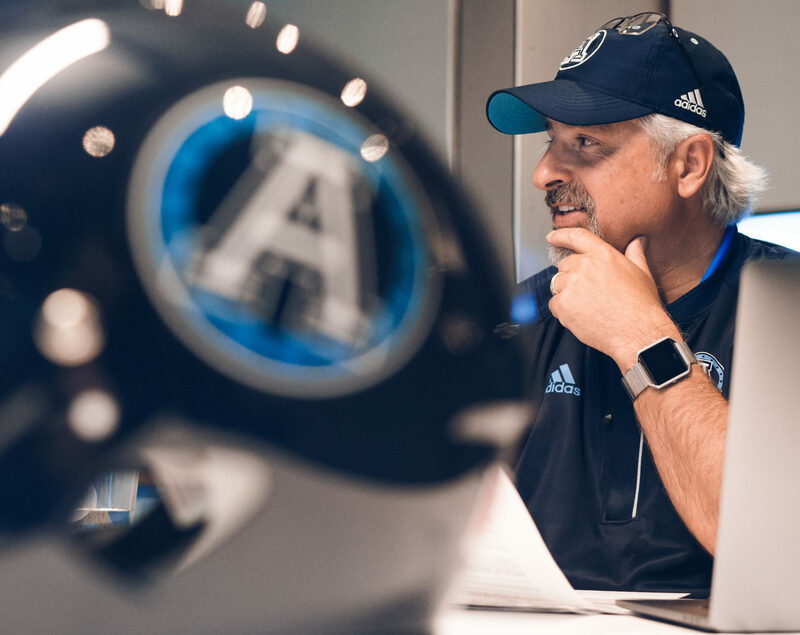 For Magri, entering his seventh draft with the Argos, his sixth in his current capacity, he’s learned one thing that will no doubt be drawn upon again on May 2nd. That makes the draft that much more fun for fans, and equally as stressful for the teams.